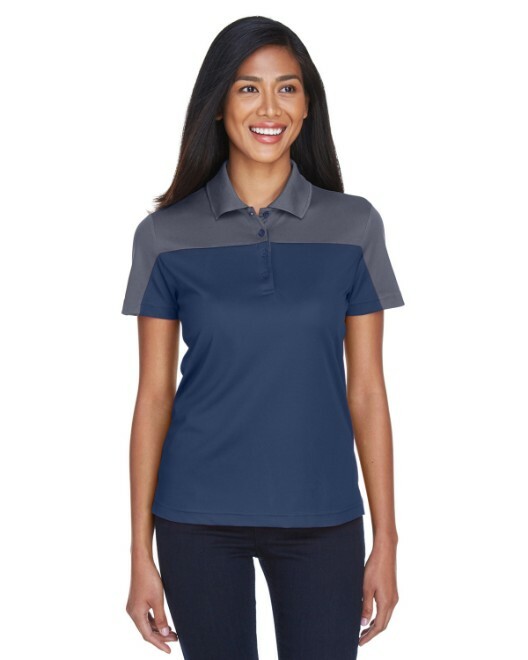 This lightweight, fashionable Ladies Victor Performance Polo is perfect for a wide variety of activities, including golf, running, or even more leisurely pastimes such as gardening or even shopping. 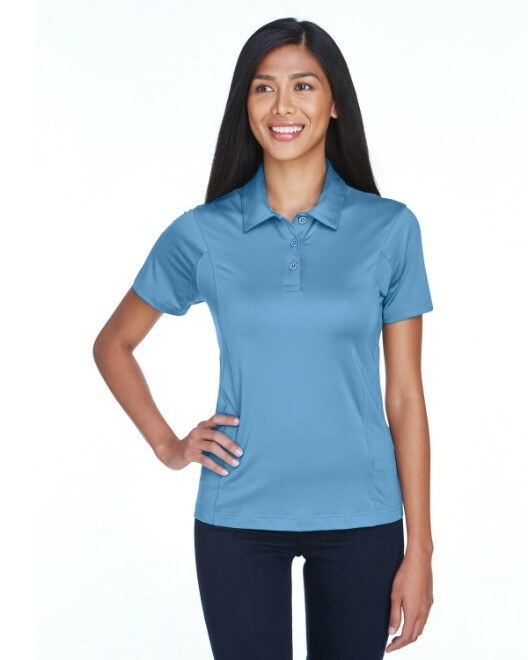 The 91% polyester and 9% spandex body provides the perfect amount of comfort, moisture absorption, and flexibility in movement. 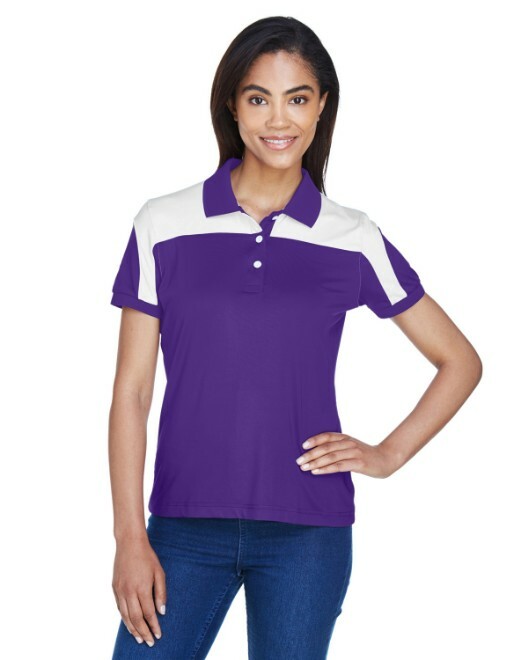 With the matching flat rib collar and cuffs, as well as the functional yet cute white rugby buttons, you don't have to sacrifice even an ounce of fashion for comfort. 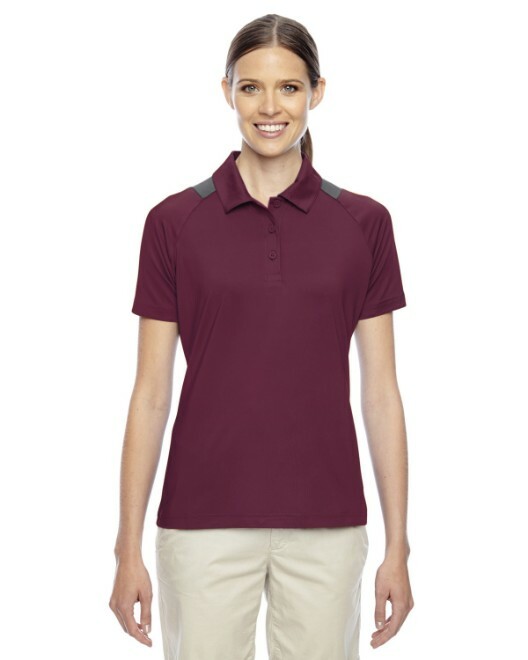 This performance polo has a sleek, athletic fit suitable for any woman. 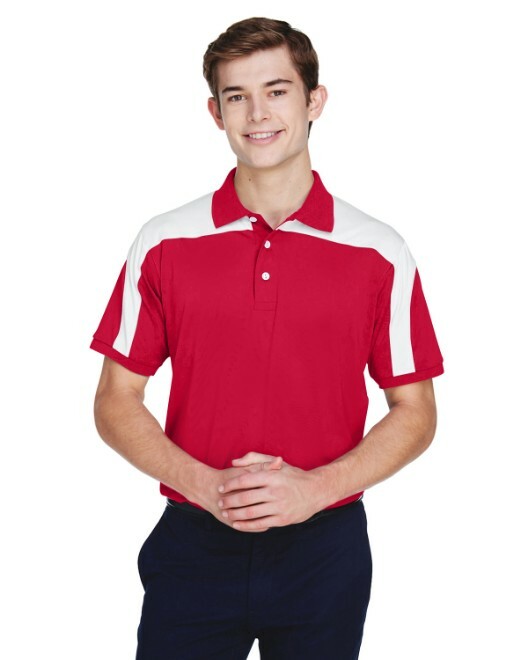 The white panels on the shoulder and sleeve areas contrast beautifully with the main body color, for which there is an extremely wide range, from black, navy, and green to yellow, red, and gold.